Higginbothams/Gangarams – the new MG Road | Globonomics! 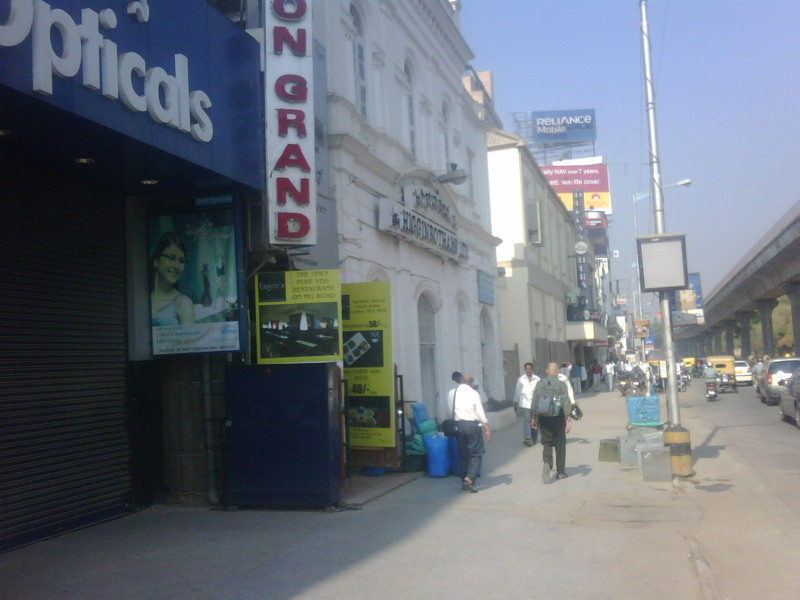 With the Namma Metro firmly entrenched into MG Road, the landscape of this usually busy street has totally undergone a metamorphosis! These are landmarks the erstwhile Bangalorian cannot miss easily. I was to buy a book recently from Higginbothams (http://en.wikipedia.org/wiki/Higginbotham%27s) and went there. The shop does not open till 10 AM and moreover, when it did open the books I wanted in the Computer Science section were not to be found. I was also suprised that the Sales staff had not come in yet to assist. I have purchased a lot of books from Higginbothams in the last 20+ years I have been at Bangalore either studying or working and was amazed at this experience. 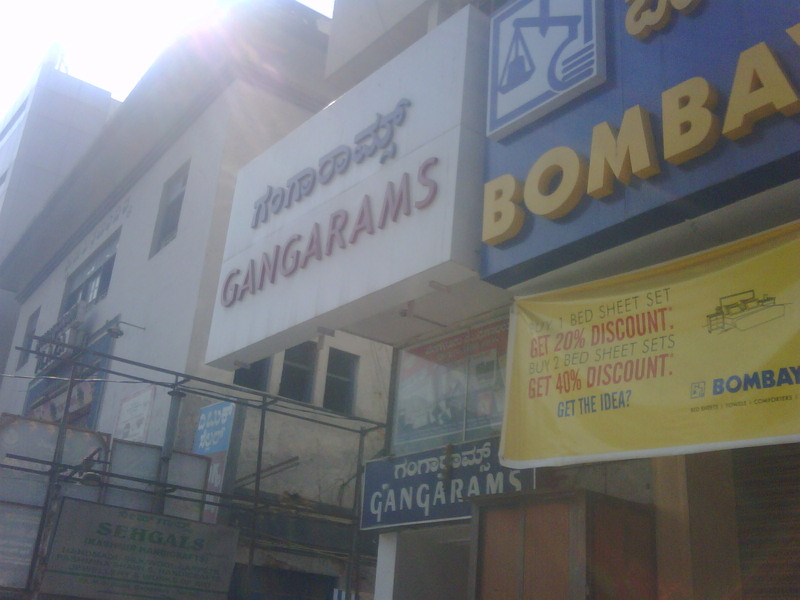 Furthermore, when I went to Gangarams that is almost right next to it, I found a much more helpful staff and sales crowd ready to help me with my purchase. I was a little surprised at this dichotomy that exists between two landmark book stalls that have almost ruled the dead tree version of the book market in Bangalore! Moreover, ebook penetration has not really crept into India as much as it has in the Western world so it might not be fair to say that the ebook market is killing the dead tree version. However, given the upkeep/maintenance of these book stores, I am not too sure their owners are raking in huge profits. Also, the construction activity of MG Road Namma Metro has clearly reduced traffic on MG Road significantly. Maybe that has something to do with this reduced demand as well. Not sure. Whatever, it is, I was left puzzled and asking for answers.